The Synthesizer Sympathizer: Is 2012 the start of the Analog Synthesizer Renaissance? Is 2012 the start of the Analog Synthesizer Renaissance? This has been on my mind for a few weeks, and I've wanted to post on it. 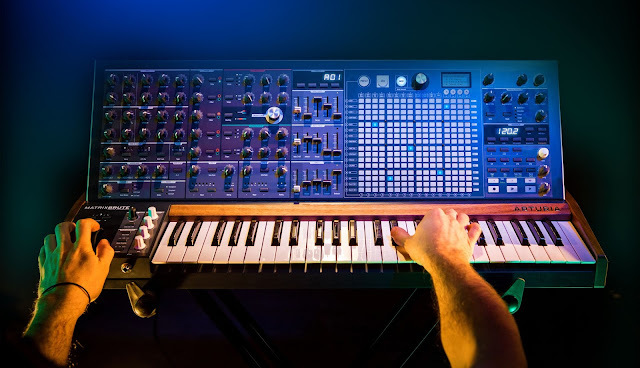 With all the recent announcements of newer and cheaper analog synths like the Waldorf Pulse 2, Moog Minitaur, and Arturia MiniBrute, analog synths are once again widely available and musicians have a diverse selection. Korg also notably released a Facebook mini-survey asking what users liked most about the Monotribe (Korg, if it isn't obvious, it's the fact that it's cheap, great sounding analog equipment!) This definitely hints that more is planned from the analog realm for them. Before this year, there wasn't quite as great of a selection. 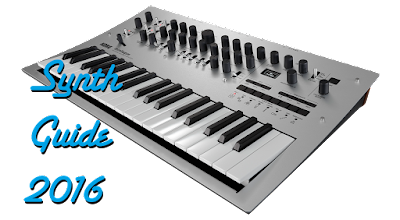 Not to discredit the Dave Smith Mopho and Moog Little Phatty, but those synths pretty much gave two options: a cheap, few knob module, or an expensive (albeit more affordable than, say, a Voyager) proper mono keyboard, at least until the Mopho Keyboard was released. While these are both outstanding pieces of hardware, the lack of variety was a bit of a downer considering every music company had a signature analog synth 20 years ago. Anyone new to the synth world would have to put down quite a bundle to properly learn analog synthesis, or take a gamble on a retro keyboard from a shady eBayer that may not last. Of the three newest analog synths, the Pulse 2, Minitaur, and MiniBrute, it's tough to say which is most compelling as only the Minitaur is released, and only hitting producer's desks as I write this. The Pulse 2, which I haven't mentioned on the blog yet, is the newer version of the classic Pulse of the 90s. While it has no demos on the web yet, it's sure to be a hit seeing as how Waldorf is constantly praised for their awesome sounding gear. If you chat with any set of producers or synth hobbyists, I can bet you'll find at least one person who loves one of Waldorf's digital collection. The first Pulse is already a classic, so there's nothing to say that the new Pulse 2 won't deliver the sonic goods. The Minitaur has already received a couple glowing reviews, praising its simplicity, knob-per-function interface, and its low price for a Moog. Moog is also the most well known synth name, so the $600 price tag for those of you who haven't gotten yourself a Moog yet will surely entice. Finally, the MiniBrute is pretty notable because its maker Arturia was only a digital synth company before it, and started in virtual synth plugins. The interface seems to be designed with the new generation of performers and producers in mind, and an early review from a notable magazine has said it's a better choice for an analog synth than most of the vintage gear floating around. Not only is the MiniBrute unique in its price of $500 as an analog keyboard, but it features some unique features unseen in the other synths like the metalizer and sawtooth transformer. To add to the vintage appeal even further, both the MiniBrute and Minitaur lack any sort of memory, so you'll be writing down your patches on sheets like the forefathers of great synth music did in the late 70s and early 80s. 3 powerhouses all coming into the market in 2012, with Korg just itching to jump in as well. But what does this mean for the market? As more users get into analog sounds, and more people get into dance and electronic music, the market will only grow. The "one knob for everything" interfaces are falling by the wayside. Ultimately, I think digital synths will be most used for their unique manipulations of sound because people are starting to notice the warmth of analog again, much like our return to vinyl records. The digital synths will always be around and have their own merits, but analog gear has grown so much more reliable since the 80s that digital is no longer a "must" for being on the road. Will Roland and Yamaha jump back in the analog synth world? Probably not, as Roland seems to want to "look forward, instead of at the past," but hey, I guess they don't want the synth public's money? Yamaha, on the other hand, hasn't forayed into synths much lately, but maybe they'd surprise us one day with a cheaper CS-80 derivative? One can only dream. I imagine the market can't support every company pushing out analog gear, but I have no doubt the three synths above will sell well-- the loyalists of Waldorf and fans of 90s dance will champion the Pulse 2, the virtual analog users and new synth kids will reach for the MiniBrute, and those looking for the cheap entry Moog and Moog filter, or just a warm bass, will go for the Minitaur. But don't be surprised if other companies take note of the big splash that those synths are making. Here's to hoping the 2010's look more and more like the 1980s for synth enthusiasts. Thanks for gathering this information, was really helpful ;)! Looking forward Korg's next offer in cheap analog space, would love to have something below 300$ with keyboard, onboard sequencer and effects, Monotribe+all 3 Monotron models=??? Great post for reacquainting me with analog.